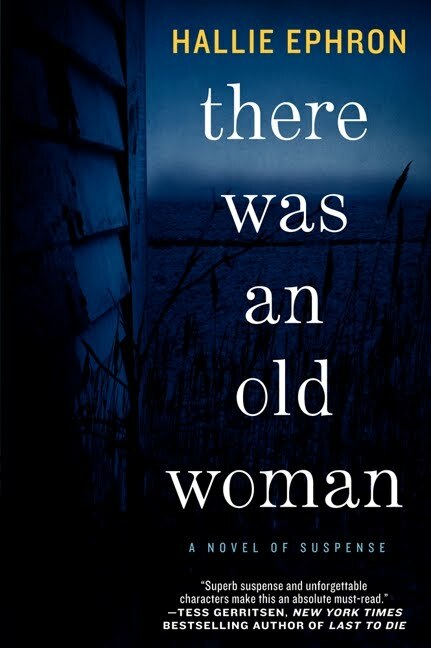 There Was An Old Woman by Hallie Ephron is a compelling novel of psychological suspense in which a young woman becomes entangled in a terrifying web of deception and madness involving an elderly neighbor. When Evie Ferrante learns that her mother has been hospitalized, she finds her mother's house in chaos. Sorting through her mother's belongings, Evie discovers objects that don't quite belong there, and begins to raise questions. Evie renews a friendship with Mina, an elderly neighbor who might know more about her mother's recent activities, but Mina is having her own set of problems: Her nephew Brian is trying to persuade her to move to a senior care community. As Evie investigates her mother's actions, a darker story of deception and madness involving Mina emerges. In There Was an Old Woman, award-winning mystery author Hallie Ephron delivers another work of domestic noir with truly unforgettable characters that will keep you riveted. There is so much to love about this wonderful mystery. Readers are allowed to get to know the people of this aging Bronx neighborhood long before the onset if the mystery. Mina Yetner proves to be a feisty, intelligent, and humorous character; possessed of great spirit and tenacity in spite of her frailties and insecurities. Not to be outdone, Evie Ferrante shows herself to be a very resourceful and tenacious person who refuses to be deterred in her quest to find out what is at the bottom of the shady goings on with her mother and others around her. Evie is the perfect example of an unlikely heroine. She comes into the story a daughter forced to care for her elderly mother after an accident in her home sends her to the hospital. perfect example of the powerful and unscrupulous taking advantage of the elderly and disenfranchised. This read unfolds slowly amid vivid and detailed settings and fully evolved and well rounded characters. Author Halle Ephron does a excellent job of keeping the scope of her story small, thereby creating a homey and personal atmosphere for the reader. This is the perfect story for those readers who are new to the genre. The delicate web of deception and the myriad of questions presented throughout this story fashion a trail of mystery and suspense too alluring to be ignored. This is an unforgettable story that is not to be missed. An award-winning mystery reviewer, Hallie Ephron is the author of Never Tell a Lie (a Mary Higgins Clark Award finalist that was also made into the Lifetime Movie Network film And Baby Will Fall) and the Edgar- and Anthony Award-nominated Writing and Selling Your Mystery. Ephron lives near Boston. Thank you to Harper Collins, Hallie Ephron and Partners in Crime Virtual Book Tours for generously offering this book to me for review. If you'd like to join in on an upcoming tour just stop by their sites and sign up today! Very nice review and post. This book is in my TBR pile and am looking forward to reading it. Thank you for sharing your thoughts. Feel The Emotional Fire of "Smoke"
Will You Feel the Pull of "Undercurrent"